Improve sense of purpose, confidence and coping mechanisms. Improve participation in local community activities through peer mentoring and support programmes. 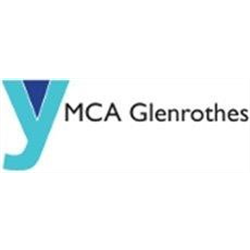 The project aims to provide a variety of educational programmes to YMCA Supported Accommodation and YMCA Community Hub centre in North Street, Glenrothes. The Project Co-ordinator will actively engage with residents to improve life skills. You will increase learning in tenancy management, health and well-being activity and support individuals to engage better with local services and communities to assist them in sustaining their future homes to prevent them becoming homeless again. You will work alongside other team members to further develop peer support programmes as a way of supporting their peers, providing continuous learning and keeping them involved with the service. The post holder will be dynamic, passionate and driven and able to engage in creative ways, for those hardest to reach. You will have experience in delivering both formal and informal learning experiences and be able to organise, plan and facilitate sessions to meet project outcomes.